The Hellenic Navy (HN) (Greek: Πολεμικό Ναυτικό, Polemikó Naftikó, abbreviated ΠΝ) is the naval force of Greece, part of the Greek Armed Forces. The modern Greek navy has its roots in the naval forces of various Aegean Islands, which fought in the Greek War of Independence. During the periods of monarchy (1833–1924 and 1936–1973) it was known as the Royal Navy (Βασιλικόν Ναυτικόν, Vasilikón Naftikón, abbreviated ΒΝ).The total displacement of all the navy's vessels is approximately 150,000 tons.The motto of the Hellenic Navy is "Μέγα το της Θαλάσσης Κράτος" from Thucydides' account of Pericles' oration on the eve of the Peloponnesian War. This has been roughly translated as "Great is the country that controls the sea". The Hellenic Navy's emblem consists of an anchor in front of a crossed Christian cross and trident, with the cross symbolizing Greek Orthodoxy, and the trident symbolizing Poseidon, the god of the sea in Greek mythology. Pericles' words are written across the top of the emblem. "The navy, as it represents a necessary weapon for Greece, should only be created for war and aim to victory. "...............The Hellenic Merchant Marine refers to the Merchant Marine of Greece, engaged in commerce and transportation of goods and services universally. It consists of the merchant vessels owned by Greek civilians, flying either the Greek flag or a flag of convenience. Greece is a maritime nation by tradition, as shipping is arguably the oldest form of occupation of the Greeks and a key element of Greek economic activity since the ancient times. Nowadays, Greece has the largest merchant fleet in the world, which is the second largest contributor to the national economy after tourism and forms the backbone of world shipping. The Greek fleet flies a variety of flags, however some Greek shipowners gradually return to Greece following the changes to the legislative framework governing their operations and the improvement of infrastructure. 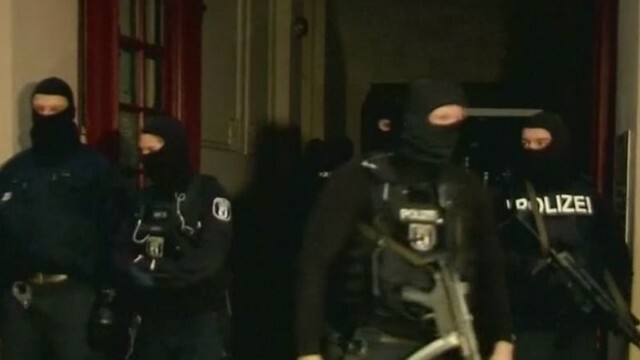 ISIS has made it clear it plans to send fighters to Europe, once western forces are "defeated"
(CNN) In January 2014, 22-year old Redouane Hagaoui left his home in the Belgian town of Verviers. He was due to travel to Morocco to see his grandparents, but never arrived. Instead, Hagaoui went to Istanbul, called his family from somewhere in Turkey, and then vanished into Syria. His family and friends were stunned. One friend told the local newspaper SudInfo: "He doesn't even speak Arabic very well." On Friday, the day after Belgian police killed two extremists during a raid in Verviers, a CNN crew met Hagaoui's mother and sister at her home, just a few hundred yards from the scene of the shoot-out. 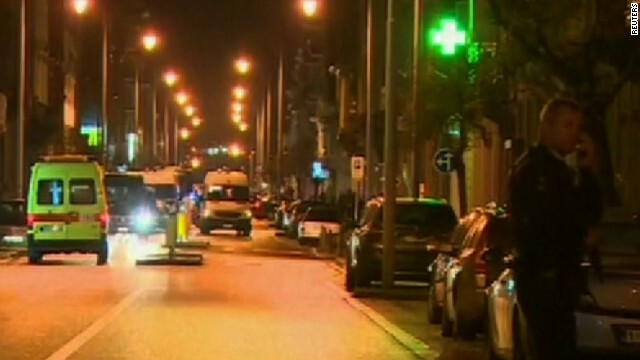 At the time, Belgian media were suggesting he may have returned to Verviers and been killed in the police raid. They were too upset to talk; at that moment, they had no idea whether Redouane was alive or dead. The imam of the local mosque, Franck Hensch, told CNN they had not seen Redouane since 2013. He had been a serious but kind boy and had worked in a local restaurant, the imam said. Hensch and the president of the mosque M'Hamed Bouchlagham said that extremism was not common among Muslims in Verviers but that fewer young people were attending the mosque and instead were being influenced elsewhere. While the identities of the two men killed in the police raid have not been disclosed, it now seems Hagaoui is still alive and likely still in Syria or Iraq -- one of dozens of young Belgian men and women who have left their dreary, industrial towns to wage jihad in Iraq and Syria. A recent study by the Brookings Institution in Washington estimated that at least 250 individuals have left Belgium -- fewer than the number from Britain and France but the highest in Europe when measured per capita. Other sources put the number above 300. One of them posted a photograph of himself brandishing an automatic weapon and with an ammunition belt round his neck. Calling himself Fayssal Oussaih, he said he came from Maaseik, a small town on the Dutch border. He was reportedly the fourth resident of Maaseik to leave for Syria. Another Belgian jihadist with a high profile is Abdelhamid Abaaoud, a 27-year-old Belgian of Moroccan descent from a suburb of Brussels. An ISIS video posted in March last year shows him in a truck towing four dead bodies away in the aftermath of a massacre. Abaaoud's 13-year old brother also arrived in Syria later -- to become reputedly the youngest foreign fighter there. One posted on Facebook: "Everything you need is available here, be it clothes or things for your home, we have everything." And a tip: "Don't behave like a warrior. Shave your beards, behave like tourists and buy tickets back and forth." Precise figures on the number of Europeans who have gone to Iraq and Syria -- and which groups they have joined -- are hard to come by. 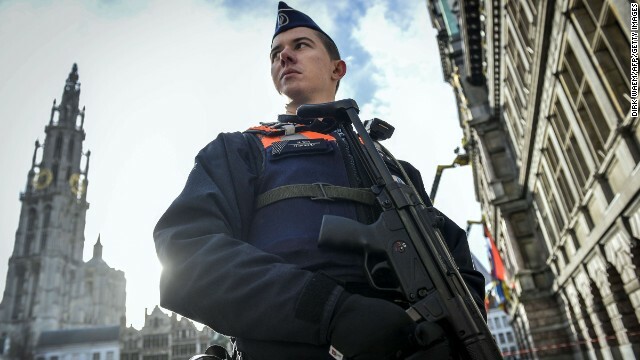 The consensus among counter-terrorism analysts is that more than 3,000 have traveled, of whom 500 have returned, including up to 70 who have come back to Belgium. Of those who have gone, there appears to have been a sharp shift toward joining the Islamic State in Iraq and Syria (ISIS) in the last year. Van Ostaeyen writes: "If there is one important difference between those who left during the first wave and the second it would be their favor to fight for the Islamic State." And ISIS has made it clear it plans to send fighters to Europe, once western forces are, in its words, "defeated" in Iraq and Syria. An outlawed group called Sharia4Belgium is suspected of arranging the travel of some would-be jihadists. Nearly fifty of its members are currently on trial in Antwerp, but almost all are being tried in absentia. Guy Van Vlierden, an investigative journalist with Belgian newspaper Het Laatste Nieuws who tracks jihadist networks, told CNN that Sharia4Belgium had disbanded because of prosecutions and the flow of members to Syria. "As an informal network though, I think it still exists. And from time to time, people try some kind of relaunch," Van Vlierden said. One of the group that went to fight is Azeddine Kbir Bounekoub, a Belgian-Moroccan from Antwerp in his twenties who is believed to be in Raqqa -- ISIS's self-declared capital -- and has a Facebook page in the name of Abu Gastbijshaam. After the attack on a Jewish museum in Belgium by a gunman accused of allegiance to ISIS, he wrote on Facebook page: "May Allah raise up more young people who take the example of those who committed the attack in the Jewish museum." Analysts of Islamist extremism in Europe talk of a "third generation" -- Muslim teenagers and men in their early twenties intensely alienated from the countries to which their parents and grandparents immigrated in hope of a better life. A significant minority among them feel marginalized within their own country (they have no experience of any other) and are enticed by ISIS's slick multilingual propaganda machine. 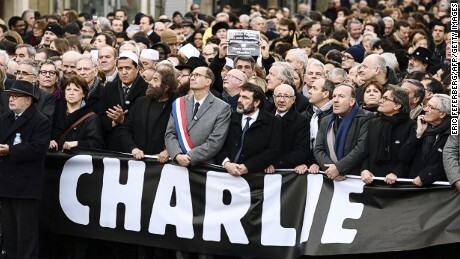 Some even see the Kouachi brothers, who attacked the offices of Charlie Hebdo in Paris as heroes; there were a number of incidents in French schools when the minute's silence for the victims was interrupted. One college teacher in a suburb of Paris with a high Muslim population told CNN that since the Paris attacks some Muslim students had adopted the slogan "JeSuisKouachi," as a riposte to "JeSuisCharlie." Few of them will ever pack their bags, but they could easily be further radicalized at home. Most of those who do make it to Syria are raw recruits with few skills. But they learn fast -- and one worrying dimension of the conflict to Western analysts is the coming together of this "third generation" with veteran jihadists -- men like Abdelkader Hakimi. Now 48, Hakimi left prison in 2011 after serving a long terror sentence. He is thought to have trained in Afghanistan, and as a young man had been condemned to death in his native Morocco for trying to overthrow the monarchy. On Facebook last year he suggested he was in Aleppo, Syria. His current whereabouts are unknown. While European intelligence agencies scramble to tackle the first wave of returnees, some analysts offer a few crumbs of comfort. Among the hundreds who have followed their dream of jihad, some never imagine returning home. Yilmaz, a young Dutchman and former soldier, told a Dutch television network that he did not expect to come home, far less commit an attack in Holland. Others are killed or become suicide bombers; a few return home disillusioned with the violence. The Brookings study says the threat posed by foreign fighters could be reduced by better co-operation among European intelligence services. "Intelligence from the communications of foreign fighters, shared open-source monitoring, and other information obtained by one service can prove crucial for discovering transnational networks," it says. Van Vlierden says that given their modest resources, the Belgian security services have been pioneers in tracking fighters. "I truly think, for example, that the Jewish Museum attack wouldn't have happened with a perpetrator from Belgium itself," he told CNN. 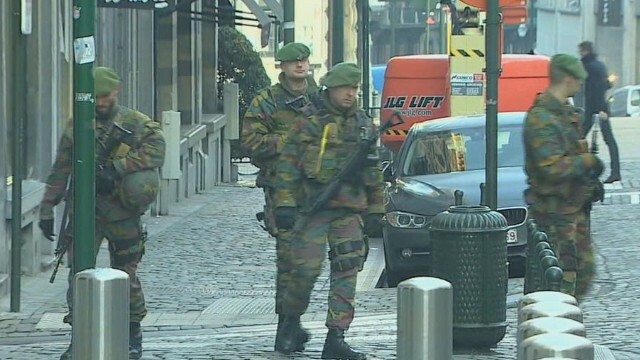 Four people were shot dead at the museum in Brussels last year. The alleged assailant -- a French national named Mehdi Nemmouche -- was arrested in France, highlighting the additional problem posed by Europe's open borders: 26 European states are part of the Schengen Agreement, which abolished passport and immigration controls between signatories. In Paris, analysts and former officers in the security services have long been critical of the lack of collaboration between France's police and the domestic and foreign intelligence services in the wake of the Paris attacks. That lack of communication became apparent after the Toulouse shootings in 2012, when Mohamed Merah killed seven people across several days in Toulouse. Governments in northern Europe now face threats on multiple fronts, from loosely-organized cells with ready access to weapons, and in many cases the expertise to use them. Last July Chams Eddine Zaougui and Peter van Ostaeyen warned in the New York Times that "Policy makers' unrealistic obsession with foreign fighters could be a distraction from a more serious domestic terrorist threat." The unfortunate lesson to be drawn from recent events in Paris and Belgium is that policy makers now need to focus on both. Ας αφήσουμε τα αστεία. Εδώ και μήνες, λόγω της κατακόρυφης αύξησης της πολιτικής αβεβαιότητας, η οικονομία έχει τραβήξει χειρόφρενο. Λόγω της γενικά κακής κατάστασης της οικονομίας, είναι σαν να τραβήξαμε χειρόφρενο στη μέση ενός δρόμου ταχείας κυκλοφορίας και τώρα περιμένουμε τον νέο οδηγό που θα μας πάρει από εκεί, πριν μας πατήσουν τα φορτηγά που περνούν. Το χειρότερο σενάριο είναι δεύτερες εκλογές, γιατί παραμένοντας για πολύ στο μέσο του δρόμου, είναι σίγουρο ότι κάποιος θα μας πατήσει. Το καλύτερο σενάριο είναι να συνεργαστούν όλοι οι επιβάτες, κάνοντας ο καθένας ό,τι γνωρίζει καλύτερα και ό,τι έχει την εμπειρία να κάνει, ώστε να σώσουν τις ζωές τους. Στο ενδιάμεσο υπάρχουν πολλές αποχρώσεις του γκρι (ένα βιβλίο με πολύ σεξ). Σίγουρα η Δευτέρα 26/1, θα είναι ενδιαφέρουσα μέρα. Μέχρι τότε, καλό βόλι! Υ.Γ. Τα βόλια είναι επικίνδυνα πράγματα και πρέπει να τα χειριζόμαστε με προσοχή. ​Βόμβα εξερράγη στην κεντρική Κωνσταντινούπολη, λιγότερο από δύο εβδομάδες μετά την επίθεση αυτοκτονίας κατά την οποία σκοτώθηκε ένας αστυνομικός. Επίσης η αστυνομία εξουδετέρωσε άλλες δύο με ελεγχόμενη έκρηξη. Από την έκρηξη του αυτοσχέδιου εκρηκτικού μηχανισμού που τοποθετήθηκε κοντά σε υποσταθμό ηλεκτρικής ενέργειας στην περιοχή Φατίχ δεν τραυματίστηκε κανείς. Στο μεταξύ, μία μονάδα πυροτεχνουργών εξουδετέρωσε με ασφάλεια παρόμοιο εκρηκτικό μηχανισμό στην περιοχή Μάλτεπε, στην ασιατική πλευρά της πόλης, ο οποίος είχε τοποθετηθεί κάτω από άγαλμα του Μουσταφά Κεμάλ Ατατούρκ, ιδρυτή της κοσμικής Τουρκίας, ανέφερε η Sabah. Η αστυνομία απενεργοποίησε επίσης ένα δέμα που περιείχε βόμβα και είχε τοποθετηθεί σε στάση λεωφορείου στο εργατικό προάστιο Σουλτανγκαζί, ανέφερε στην ιστοσελίδα της η εφημερίδα. Σύμφωνα με πληροφορίες, οι δύο βόμβες που εξουδετερώθηκαν είχαν μηνύματα που τις συνέδεαν με κουρδικές οργανώσεις. Αυτοσχέδιοι εκρηκτικοί μηχανισμοί είχαν βρεθεί σε δύο εμπορικά κέντρα στην Κωνσταντινούπολη και είχαν απενεργοποιηθεί στις 11 Ιανουαρίου. Αρπαγή 45χρονου επιχειρήθηκε το πρωί στο Παλαιο Φάληρο, όταν άγνωστοι τον επιβίβασαν με τη βία μέσα σε ένα αυτοκίνητο έξω από το σπίτι του. Το όχημα εντοπίστηκε στο Βύρωνα από αστυνομικούς και ακολούθησε καταδίωξη, αλλά τελικά οι δράστες το εγκατέλειψαν και διέφυγαν. Στη δημοσιότητα έδωσε το Σάββατο η ΕΛ.ΑΣ., ύστερα από εισαγγελική διάταξη, στοιχεία και φωτογραφίες της 22χρονης Αγγελικής, που καταζητείται στο πλαίσιο των ερευνών της Αντιτρομοκρατικής μετά τη σύλληψη του Χριστόδουλου Ξηρού. 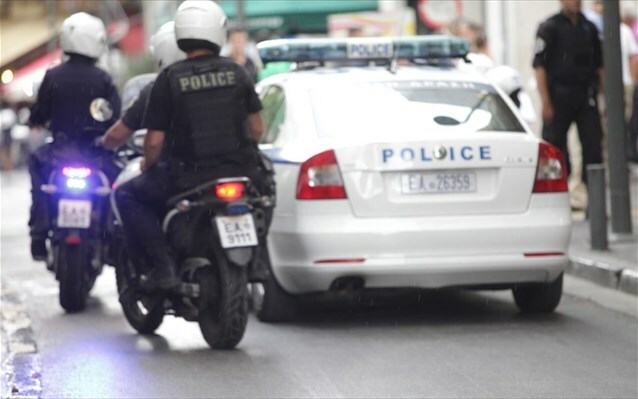 Στις φωτογραφίες η 22χρονη απεικονίζεται σε Δελτίο Αστυνομικής της Ταυτότητας, που εκδόθηκε το 2006 και σε στιγμιότυπα εικόνων κλειστού κυκλώματος καμερών ασφαλείας τέλη Δεκεμβρίου και αρχές Ιανουαρίου του 2015. Οι Αρχές έδωσαν επίσης στη δημοσιότητα και τη φωτογραφία του αλλοδαπού που συνελήφθη και φέρεται ως συνεργός του Χρ.Ξηρού. • Φωτογραφία καταφανώς πλαστού Δελτίου Ταυτότητας, υπό στοιχεία «ΧΡΥΣΑΚΗΣ Θεοχάρης», στο οποίο υπάρχει φωτογραφία του παραπάνω συλληφθέντα υπηκόου Αλβανίας (επ.) KOKA (ον.) HARI. Το συγκεκριμένο πλαστό Δελτίο Ταυτότητας βρέθηκε και κατασχέθηκε, κατά τη διενέργεια έρευνας σε μονοκατοικία στην Κερατέα Αττικής, όπου διέμενε ο Χριστόδουλος Ξηρός. Η συγκεκριμένη δημοσιοποίηση, χρονικής διάρκειας έξι (6) μηνών, σύμφωνα με την σχετική Εισαγγελική Διάταξη, αποσκοπεί στην προστασία του κοινωνικού συνόλου και προς ευχερέστερη πραγμάτωση της αξίωσης της Πολιτείας για τον κολασμό των διωκομένων αδικημάτων, αλλά και προς ανακάλυψη στοιχείων ταυτότητας λοιπών συνεργών στην εν λόγω υπόθεση. Στο πλαίσιο αυτό παρακαλείται όποιος πολίτης γνωρίζει οτιδήποτε σχετικά με τη συγκεκριμένη δημοσιοποίηση και κυρίως αν τα παραπάνω πρόσωπα, με τα δημοσιοποιηθέντα ή με άλλα στοιχεία ταυτότητας, έχουν προβεί σε οποιαδήποτε συναλλαγή όπως, εκμίσθωση οχήματος, διαμερίσματος, οικίας, γκαράζ ή άλλου χώρου κ.λ.π., να επικοινωνήσει στους αριθμούς κλήσης 1014 και 10414 της Διεύθυνσης Αντιμετώπισης Ειδικών Εγκλημάτων Βίας. Nearchus. Simple theme. Powered by Blogger.